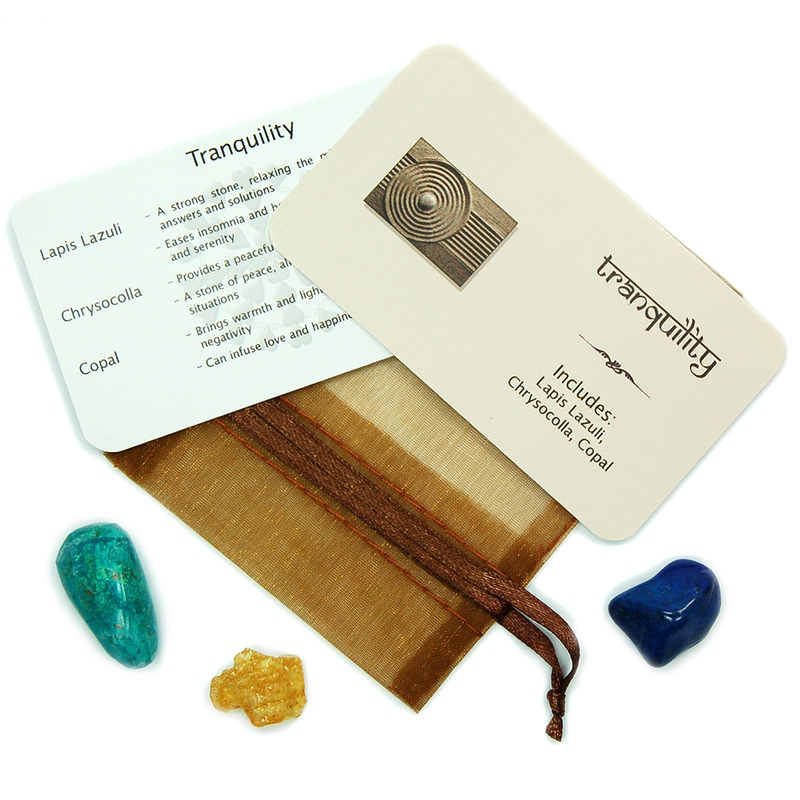 Tumbled Tranquility Mix - 3 Piece Set in Pouch – This Tumbled Tranquility Mix has 3 crystals placed in a bronze colored organza pouch with a beautifully designed reference card which details the properties for each stone. 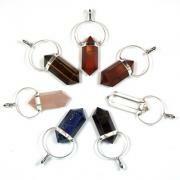 They will make great gifts throughout the year for those seeking peace, tranquility and relief from stress. 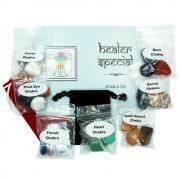 Each pouch contains 1 small/medium "Extra" grade Tumbled Lapis Lazuli, 1 large tumbled Chrysocolla and 1 extra large Tumbled Copal Amber. 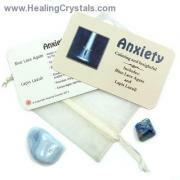 Lapis Lazuli is a strong stone, relaxing the mind as you search for answers and solutions. 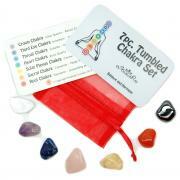 It eases insomnia and headaches while creating contentment and security. Chrysocolla provides a peaceful balance, calming the mind and soul. A "Stone of Peace", it allows you to see the positive in all things. Copal Amber brings warmth and light helping to cleanse and heal all negativity. Copal can infuse love and happiness into any situation.